This rose gold & pink blush Wedding Table Plan, is a simple wedding seating plan. 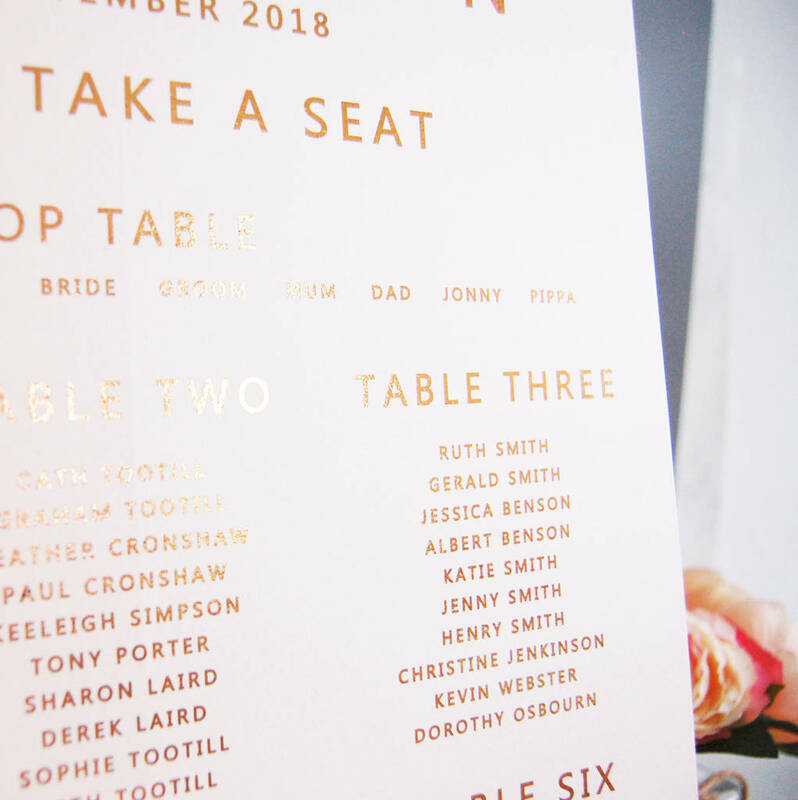 The copper / rose gold Wedding Seating Plan / rose gold foil seating plan is avaialabe as a framed table plan or unframed table plan and is an A3 seating plan. 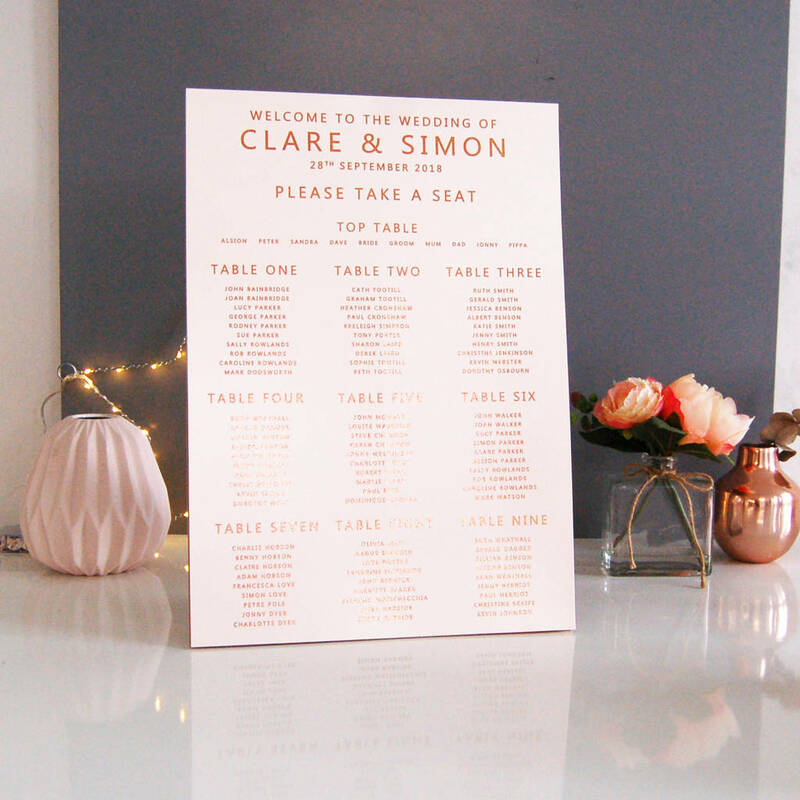 Stunning as a table plan for a traditional wedding, table plan for a classicaly styled wedding. 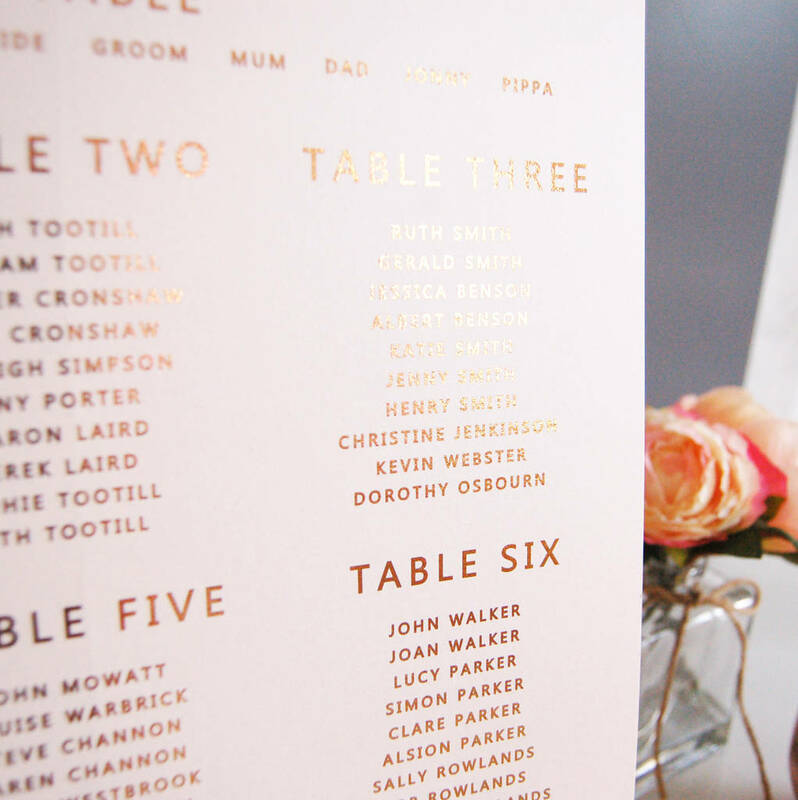 The table plan is A3 in size and suits up to 9 tables. We have a number of frame and easel options available for this product. A full range of wedding & reception stationery is available in this collection. Contact us via ask the seller for more information. 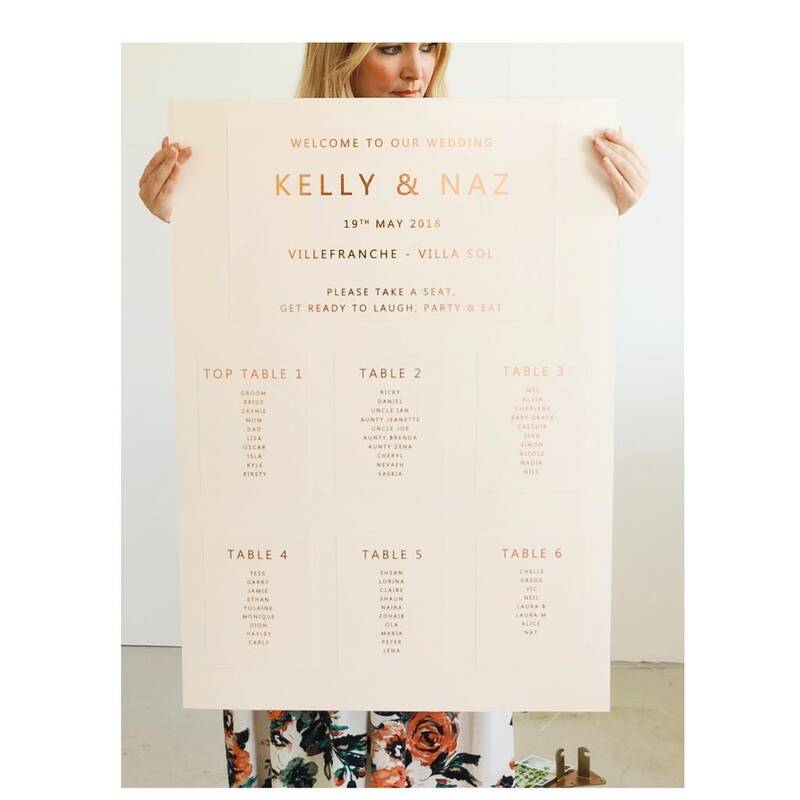 Just place your order for the table plan. We will then contact you via an order enquiry to take all of your wording details. We can then design a digital proof for your approval prior to printing if this option is chosen. 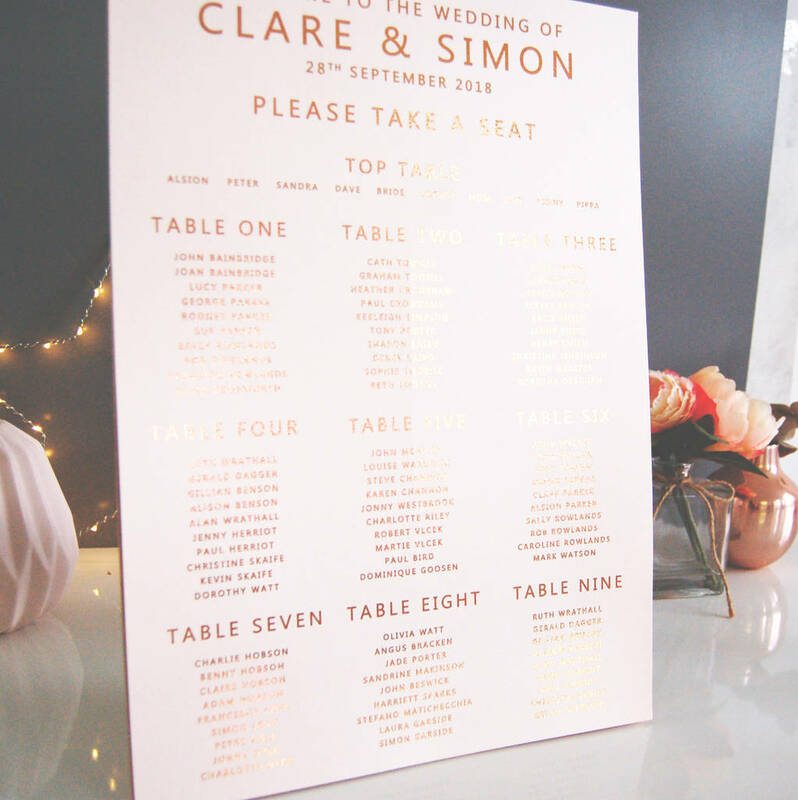 We have a range of frame options and also easel options for this table plan. A3 plans are created on a single sheet of A3, as foil machines only accept A3 in size larger plans are created slightly differenty. A2 plans are created by joing and mounting 2 x A3 sheets to create a large plan. A1 and A0 plans are created by mounting individual matching table plaques onto a large sheet of board, to create the large sigular plan. 300 gsm card, can be double mounted. 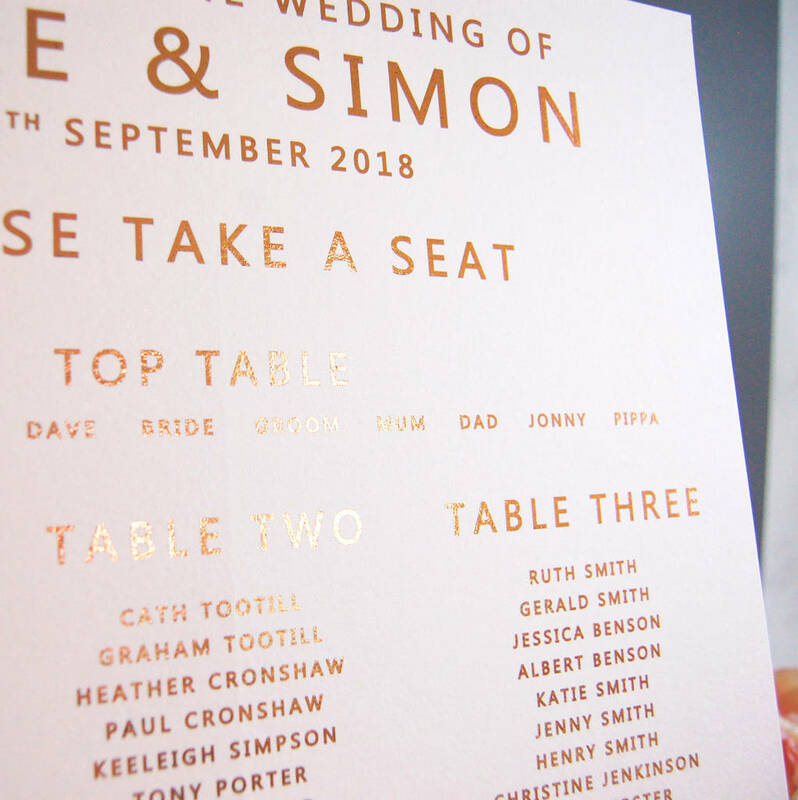 Rose Gold/Copper foil lettering *Please note that gold foil lettering can show slight imperfections.